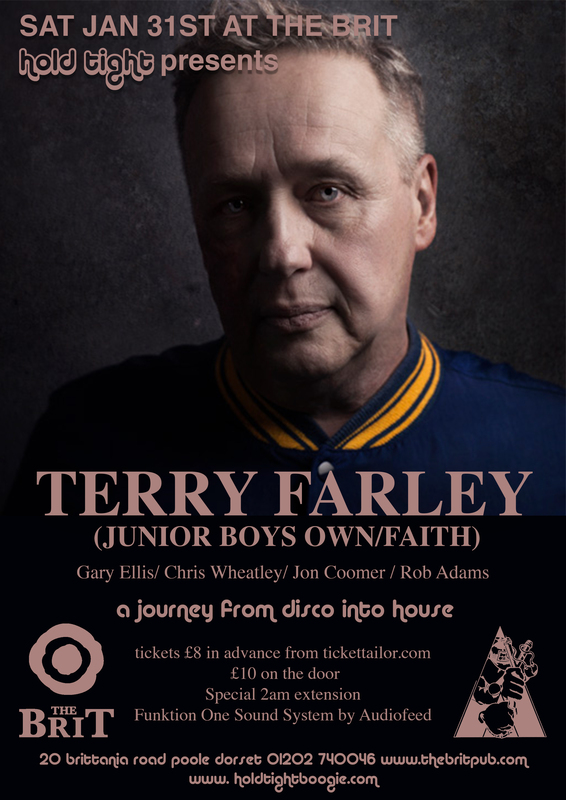 With Terry Farley heading down the M3 Motorway on the 31st January to spin some Disco and Classic House for our next Hold Tight event at The Brit, we’ve decided to dive into the Vinyl Vault to look at some of our favourite productions and remixes that Terry has put out over the years, whether it’s under his Roach Motel, Fire Island or Farley and Heller production aliases, since the late 1980s, Terry and his long time production partner Pete Heller have been instrumental in driving the direction of British House and to be honest, the American scene too. Have a read, have a listen, some tracks you’ll know, some you won’t, enjoy…. Wow, what a track, the hypnotic bassline from Salsoul legends Instant Funk’s ‘Bodyshine’ was given a new lease of life, firmly slammed into this track, back and forth in the groove, the breakdown, the groove slowly eases back in, proper anthem which was just as popular stateside as it was in the UK. I remember hearing this for the first time at legendary house club ‘The House of Windsor’, in Windsor funnily enough, on a superb sound system, a crowd pleaser, no doubt! This takes me back, 1993, I started to really immerse myself in House Music in my home town of Bournemouth, this was my first purchase of a Junior Boys Own 12″ single, so many memories every time I put my 12″ copy on the turntable. ‘Pump, Pump the Bass, Pump, Pump the Bass’, the male vocal calls you to the dancefloor, underpinned by a funky hypnotic bassline, then the bassline shifts shape, the female vocalist takes charge, full on dancefloor anthem! Another remix up next, remember when Danny Tenaglia got the Fire Island treatment for his New York Anthem ‘That’s What I Want‘? Never get tired of this, when the track was first released it was on a Picture Disc and sought after too, a massive New York House anthem, and for me, it’s one of my favourite Fire Island remixes, have a listen, you’ll know what I mean….’I Want Money, That’s What I Want’…..remember this track was a cover of the Barratt Strong Soul classic from way back in 1959!! Perfectly re-created for the 1990s Dancefloor. That’ll do for now, I could go on for hours, the four tracks above really illustrates the impact that Farley and Heller have had on the global dancefloor this past 25 years, there’s no sign of them stopping either, the depth of their musical knowledge is huge and for those of you who are venturing down to The Brit for Hold Tight’s next event with Terry Farley are in for a treat…Expect a musical odyssey across Disco, Funk, Soul, Boogie and some Vintage House classics, all in a pub with a Funktion One Sound System….bring it on!!!! TICKETS are still available, click on the link below! Cheers all….and remember to Hold Tight! This entry was posted in Boogie, Disco, Funk, House, Music, Soul, Terry Farley, Vinyl and tagged boogie, disco, Farley and Heller, Fire Island, funk, house, love vinyl, music, Roach Motel, soul, terry farley. Bookmark the permalink. 1 Response to Terry Farley – Some of our Favourite Sounds!! Reblogged this on Hold Tight Soul Disco Funk Boogie.